President Trump ordered CNN's star reporter Jim Acosta "out" of the Oval Office Tuesday after the Senior White House Correspondent peppered the president with charged questions about immigration, following an alleged comment made by Trump last week in which he is said to have referred to Haiti and several other impoverished nations as "shitholes." After interjecting several times with increasingly aggressive lines of questioning, Trump pointed at Acosta and said "Out!" - which finally rendered Acosta speechless. "Mr. President," Acosta shouted three times, finally getting Trump's attention, "Did you say that you want more people to come in from Norway? Did you say that you wanted more people from Norway? 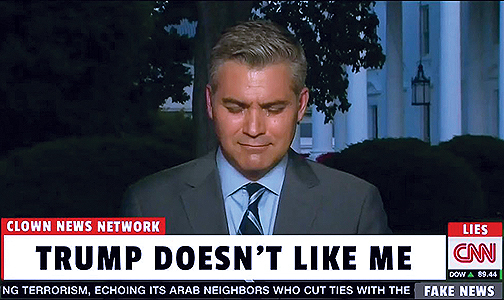 Is that true Mr. President?” Acosta barked at Trump. "I want them to come in from everywhere… everywhere. 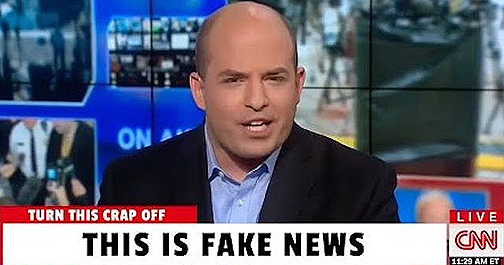 Thank you very much everybody," Trump replied while Acosta continued to interject. "Just Caucasian or white countries, sir? 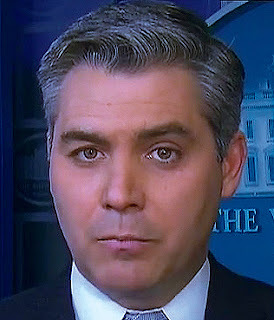 Or do you want people to come in from other parts of the world… people of color," Acosta asked - effectively calling Trump racist, to which Trump looked Acosta directly in the eye and simply said: "Out." Acosta spoke about the incident with Wolf Blitzer afterwards and said it was clear the president was ordering him out of the room. Acosta said he tried to ask his questions again when Trump and Nazarbayev gave a joint statement later on, but Deputy Press Secretary Hogan Gidley “got right up in my face” and started shouting at him to block out any questions. Meanwhile, Acosta was shut down in December by White House Press Secretary Sarah Sanders after he tried to grandstand during a press briefing over being called "Fake News," telling her that sometimes reporters make "honest mistakes." Sanders shot back; “When journalists make honest mistakes, they should own up to them. Sometimes, and a lot of times, you don’t,” only to be temporarily cut off by Acosta. “I’m sorry, I’m not finished,” Sanders fired back, adding “There is a very big difference between making honest mistakes and purposefully misleading the American people... you cannot say it’s an honest mistake when you’re purposely putting out information you know is false."